A major improvement scheme at an iconic Salford tower block once earmarked for demolition is now underway. Fitzwarren Court in Pendleton was scheduled to be demolished as part of a wider £120million regeneration of the area, but the plans were halted in 2016 when social housing provider Salix Homes secured funding to modernise the block. 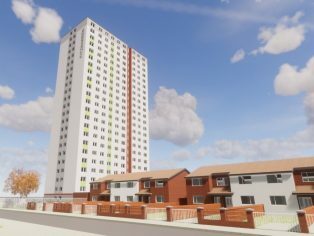 Salix Homes is investing £7.5million to completely transform the 23-storey high-rise building along with 10 terraced homes on the neighbouring Rosehill Close. As part of the ambitious investment programme, the ageing 1970s block, which contains 135 one-and two bedroom apartments, will be fitted with new kitchens, bathrooms, an energy efficient heating system, new windows and doors and the upgrading of communal areas. 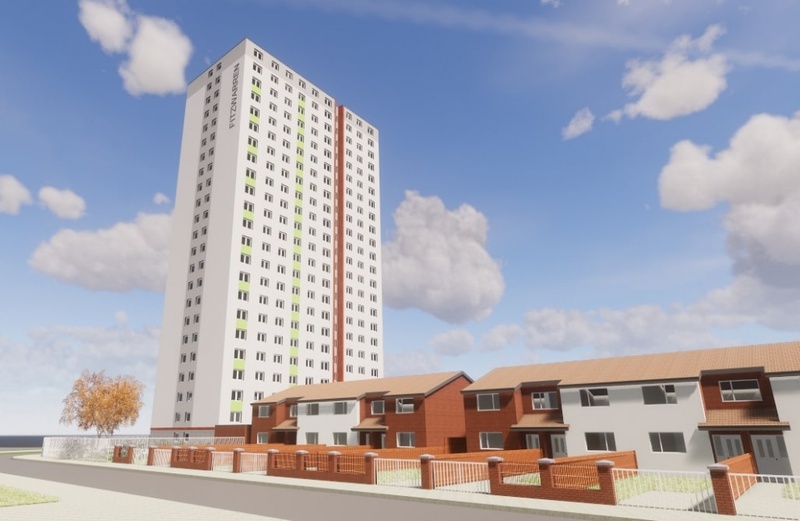 Salix Homes is also installing a sprinkler system and a state-of-the-art fire alarm system as part of its Safety Enhancement Programme across all of its tower blocks in Salford. 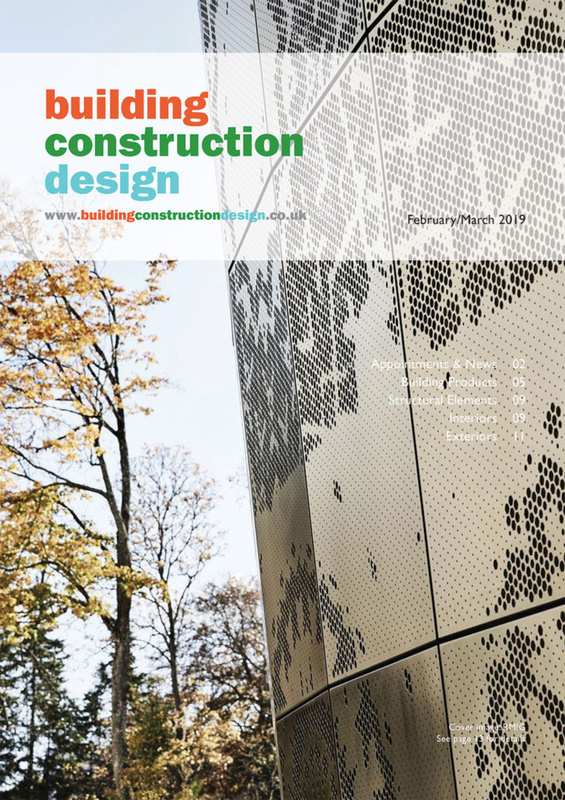 Externally, the distinctive blue and green tower block will be completely rendered and transformed in grey, green and orange tones as chosen by the residents, who have played an integral role in developing the proposals for the block. 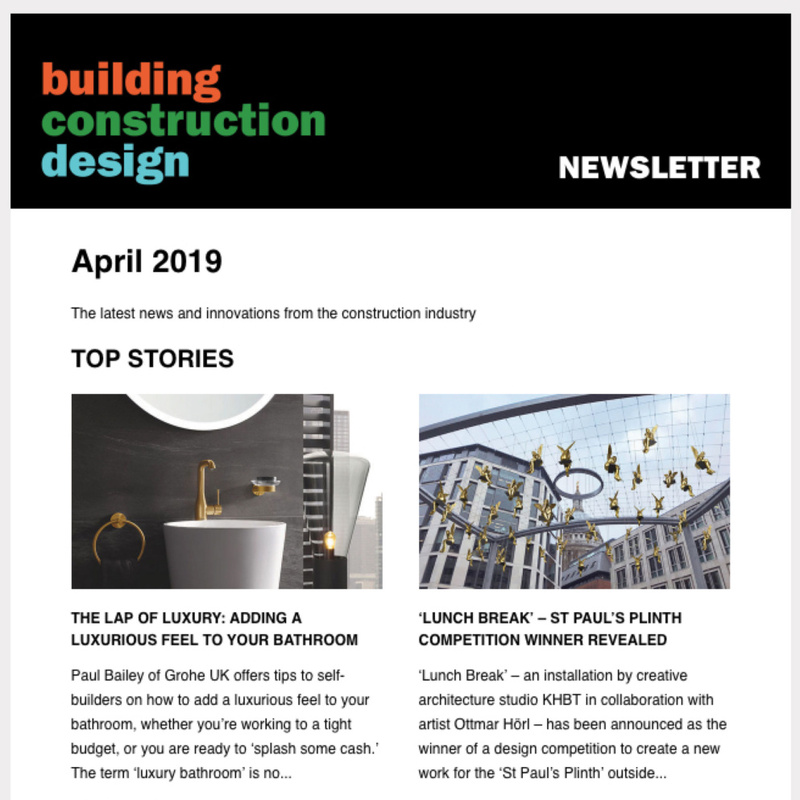 Salix Homes is working alongside its partner contractor The Casey Group to carry out the major refurbishment work, which is expected to be completed by summer 2020. “Residents at Fitzwarren Court and Rosehill Close have been in limbo for several years with a question mark over the future of their homes, so we are delighted to announce that our major improvement and modernisation scheme is now finally underway. “This is an exciting development for Salix Homes and our residents, and we are confident that this long-awaited refurbishment programme will not only benefit the residents who live here, but it will also compliment the wider regeneration taking place across Pendleton. The commencement of the work at Fitzwarren Court comes as a major refurbishment programme at another Pendleton tower block – Albion Towers – nears completion. Salix Homes has been working with the Casey Group to carry out a £3.9million facelift and modernisation programme at Albion Towers, which is expected to be completed in early 2019. “We are looking forward to delivering the refurbishment to Fitzwarren Court and Rosehill Close. The proposed project will transform the appearance, practicality and sustainability of the block for many years to come. Work started on site at Fitzwarren Court last month (September) and residents are being kept fully informed as the scheme progresses.